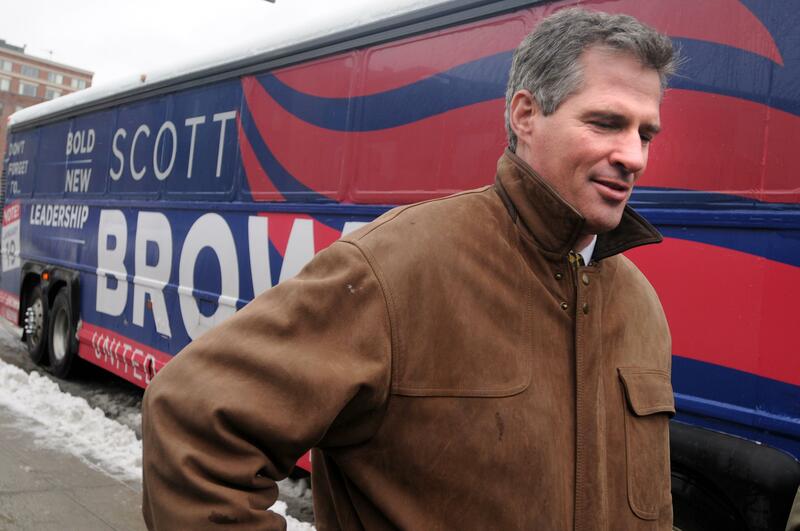 It's the 11-month anniversary of Scott Brown not running for Senate. Let it not pass without notice: March 5 is a historic anniversary. It was 11 months ago today that Scott Brown, who’d just lost re-election to his U.S. Senate seat from Massachusetts, appeared in Nashua, N.H., and refused to “rule out” a run there. Democrats got a little worried. Sen. Jeanne Shaheen, who won the state’s Senate seat in 2008, would be on the ballot again in November 2014. It’s been 11 months. If Brown jumped into the race today, he’d have nine months to campaign. Plenty of time! But the total absence of a campaign doesn’t mean the press can’t speculate or Brown’s rivals can’t fulminate. Just this week, Shaheen’s campaign sent its donor list an alert, headlined: “He’s in.” The “he” in question was Bob Smith, a two-term New Hampshire senator who lost in 2002, moved to Florida, ran for Senate for a while there, and moved back.